Unlike broad butts or the more heavy-duty designs of fixtures like heavy reversible hinges, cabinet hinges are purposed for domestic use, usually in kitchens. Much like light duty hinges, they provide compact and stylish door and cabinet operation without sacrificing too much tensile strength, so they can be fairly versatile in the right scenarios. 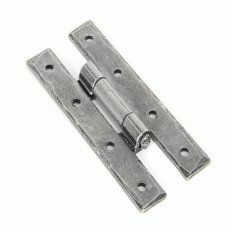 Our ball race hinges are viable for the widest range of uses, however; we even stock the versions with phosphor bronze washers for extra durability – see our washered hinges for more details. Also ideal for domestic application is our selection of piano hinges, specially designed for piano covers, and our impressive selection of spring hinges, which are proven to be more difficult for thieves to tamper with – this makes them ideal for front and back entrances to properties. If you need a more niche fitting that’ll retain its sheen longer and resist rust, our galvanised hook & band hinges are the ones for you. And if your door needs to bypass an obstacle whenever it opens, our premium parliament hinges fulfil those arrangements efficiently. For more industrial needs, sometimes it’s better to have hinges that evenly distribute the weight of the door. This is even more important when the door in question is extremely heavy, so browse our assorted tee hinges if these suit your needs. Finally, if you require a low-friction hinge that’ll last the test of time while being put to use thousands of times a day, thrust bearing hinges won’t let you down. Every fitting we sell from hinges locks & latches comes in a variety of sizes, shapes and metal finishes, so you can rest easy knowing Ironmongery Experts has your back.